You can find me teaching in my Poulsbo studio and at several local area yarn shops, shows and guilds. I submit articles to magazines, write e-tutorials, and of course, continuously add to my blog. Current studio offerings are on the Take a Workshop page. Information on upcoming events outside the studio are on the Ask The Bellwether Facebook Page. For a list of publications and venues, see the About page. Studio workshops are $25/session/person, plus materials (BYOM options often available, just ask). A session is a half-day class, typically 2-3 hours depending on the number of participants. Minimum required signup is 3. Workshops are one session unless noted otherwise. Private workshop: in studio, via skype, or at your home (travel cost additional). Tailored to your interests. $30/hour, 2 hours is typical for most topics. With two participants it is $25/hour each, with three or more reduced rates apply. Workshop group rates $300 half-day, $600 full day, plus materials, travel and accommodation. 2.5 day (5 session) limit. If you would like a 5-day workshop, let me know; those are themed and cover a topic in depth. Group workshops limited to 12-20 participants depending on topic. If you are a wool festival or have established limits, I am happy to review your standard rates. Presentation version of workshop (not hands-on) $90 plus travel. No participant limits. Most workshops have been taught at area Wool Shows or to area Guilds. All workshops have been taught privately and in my workshop. Workshops vary from 3-12 hours depending on the depth of the material. Most of those listed here are geared to 3 hour or 6 hour versions. Length and content are adjustable to suit your group or venue. A workshop week would be organized around a central topic, with additional time for individual work. Materials fees are subject to change. Here are the workshop titles. Contact me for more information on the workshops you are interested in. Descriptions for some of these workshops are available here. Learn to Spin on a Wheel, 3 sessions or shorter 1-day/2-session version. 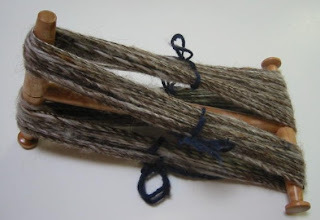 Spinning Fleece: Andean, Wolfspun, Tailspun, And then some! Whew! As you can tell, I like variety. Feel free to suggest future topics. For a list of fiber festivals and guilds where I have given workshops, and my published articles and books, see the About page. I am happy to provide information on any of the workshops listed above.